Arlo Finch thought becoming a Ranger meant learning wilderness skills, like camping and knots. 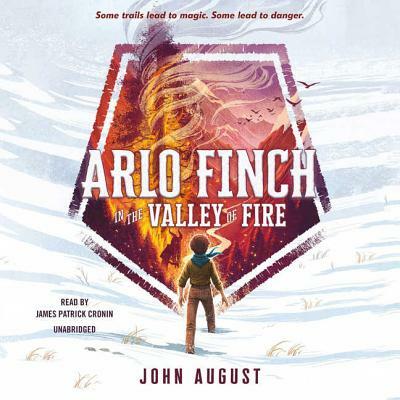 But upon arriving in the tiny town of Pine Mountain, Colorado, Arlo soon learns there's so much more. His new friends Indra and Wu teach him how to harness the wild magic seeping in from the mysterious Long Woods-a parallel realm of wonder and danger. First he must master the basics, including snap lights, thunderclaps and identifying supernatural creatures. But Arlo Finch is no ordinary Ranger, and this is no ordinary time. A dark and ancient force is sending threats into the real world . . . our world. Through perilous adventures and close calls, Arlo is awakened to his unique destiny-but the obstacles he faces will test the foundations of the Ranger's Vow: loyalty, bravery, kindness, and truth.